BOP ON TREND: Studs and Stripes. 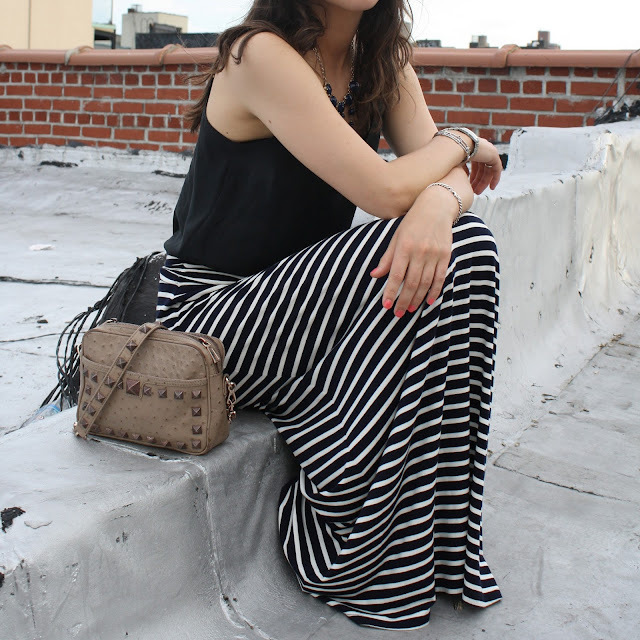 I got this maxi from J.Crew back in March and finally feel like I can wear it! I checked out Katz's Deli in the L.E.S with my sister, Sam and parents this weekend and unbeknownst to us, it was actually their 125th anniversary. We had to wait in a bit of a line and once we got in it was still chaotic but totally worth it to check out this NYC fixture. Word of advice on the menu: get the pastrami, it's what they do best!